The Journal of Thoracic and Cardiovascular Surgery published a recent manuscript entitled “Systematic review and meta-analysis of randomized controlled trials assessing safety and efficacy of posterior pericardial drainage in patients undergoing heart surgery”. Nineteen randomized controlled trials enrolled 3,425 patients who were analyzed to determine if efforts to reduce retained blood around the heart after heart surgery might reduce postoperative atrial fibrillation (POAF), retained blood syndrome (pericardial effusions, tamponade, pericardial effusions), hospital resource utilization, and death.1 The focus was the addition of the surgical technique known as “posterior pericardiotomy,” where the surgeon creates a long incision in the posterior pericardium to drain any retained blood into the pleural space, thereby shunting it internally away from the pericardium to the pleural space. In this largest of its kind report, it was determined that posterior pericardial drainage was associated with a 90% reduction of the odds of cardiac tamponade, a 58% reduction in the odds for POAF and associated with significantly shortened (by nearly 1 day) overall length of hospital stay, kidney injury and death. The consideration for what happens with the shunted blood to the pleural space is not trivial. In this study, there was a 64% increase in the odds of pleural effusion, as one might expect. Alternatively, perhaps the best way to achieve optimal pericardial drainage is not to add the risks of posterior pericardiotomy, but rather adding a strategy to prevent chest tube clogging with Active Chest Tube Clearance in the first few days after cardiac surgery. The take away message is clear: Strategies to prevent retained mediastinal shed blood have level 1A evidence to back them up. What is not clear, is what is the best way to accomplish this: pericardiotomy or enhanced chest tube drainage strategies? 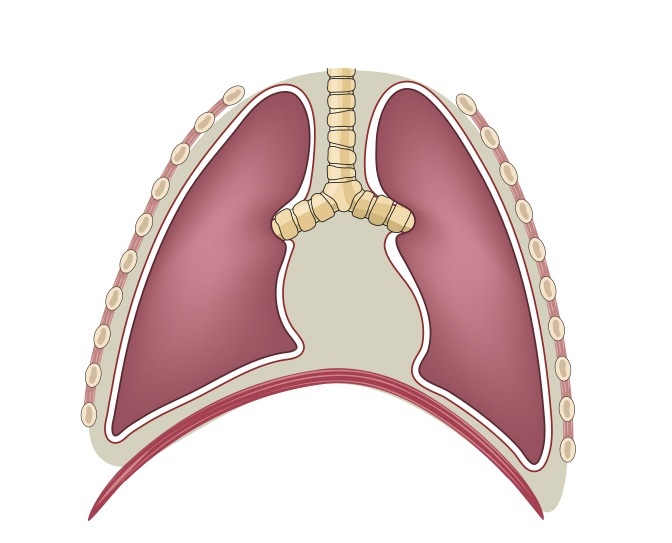 Active clearance of chest tubes appears safer, reduces pleural effusions rather than creating them, and evidence suggests the same outcomes may be achieved with this approach. Gozdek M, Pawliszak W, Hagner W, Zalewski P, Kowalewski J, Paparella D, et al. Systematic review and meta-analysis of randomized controlled trials assessing safety and efficacy of posterior pericardial drainage in patients undergoing heart surgery. J Thorac Cardiovasc Surg. 2016: (http://dx.doi.org/10.1016/j.jtcvs.2016.11.057). Conti VR. Draining the Posterior Pericardial Space; Pericardiotomy vs. Just Another Tube. J Thorac Cardiovasc Surg. 2016 (http://dx.doi.org/10.1016/j.jtcvs.2016.12.020). Karimov JH, Gillinov A M, Schenck L, Cook M, Kosty Sweeney D, Boyle EM, Fukamachi K. Incidence of chest tube clogging after cardiac surgery: a single-centre prospective observational study. Eur J Cardiothorac Surj 2013; 1-8. (https://doi.org/10.1093/ejcts/ezt140). Boyle EM, Gillinov AM, Cohn WE, Ley SJ, Fischlein T, Perrault LP. Retained Blood Syndrome After Cardiac Surgery: A new look at an old problem. Innovations in cardiovascular and thoracic surgery. 2015 Sept/Oct:10(5):296-303. (https://doi.org/10.1097/IMI.0000000000000200). Balzer, F., von Heymann, C., Boyler, E., Wernecke, K., Grubitzsch, H., and Sander, M. Impact of retained blood requiring reintervention on outcomes after cardiac surgery. J Thorac Cardiovasc Surg. 2016;152:595–601. (https://doi.org/10.1016/j.jtcvs.2016.03.086). Sirch J, Ledwon M, Puski T, Boyle EM, Pfeiffer S, Fischlein T. Active Clearance of Chest Drainage Catheters Reduces Retained Blood. Journal of Thoracic and Cardiovascular Surgery.2015 Oct 22. pii: S0022-5223(15)01970-4. (http://dx.doi.org/10.1016/j.jtcvs.2015.10.015).